Jim Bob and Kelsey Strothers have an unexpected problem on their hands. People actually want to stay and dine in their restaurant. It’s not a bad problem to have, mind you. 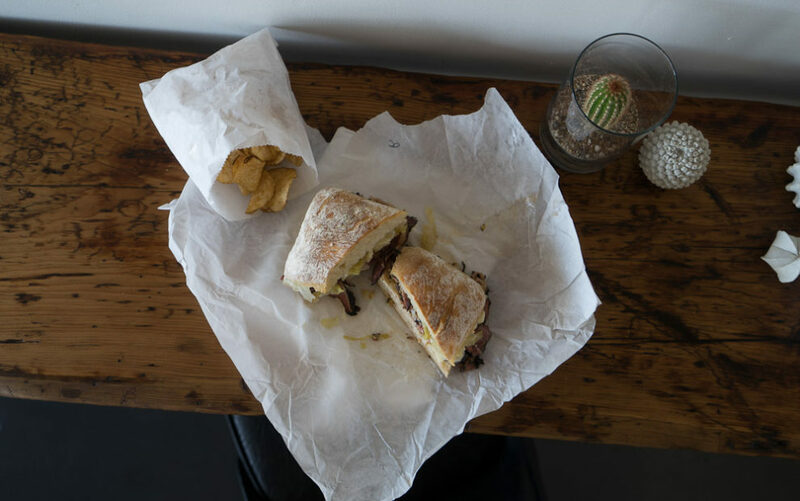 It’s just that when the two entrepreneurs conceived their diminutive craft sandwich shop Worth Takeaway on Main Street in downtown Mesa, the idea was to create a grab-n-go establishment with limited seating. 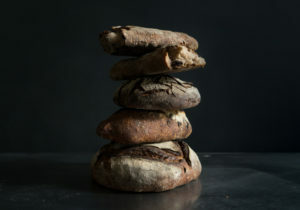 In just eight months of launching their petite shop with 15 seats, however, customers have decided Worth Takeaway is a worthy community gathering space to hang out and break high-quality bread. And no one is more delighted about the “crowded” conditions than the Strothers, who gave much thought about the type of eatery they would open as they shifted direction last year. 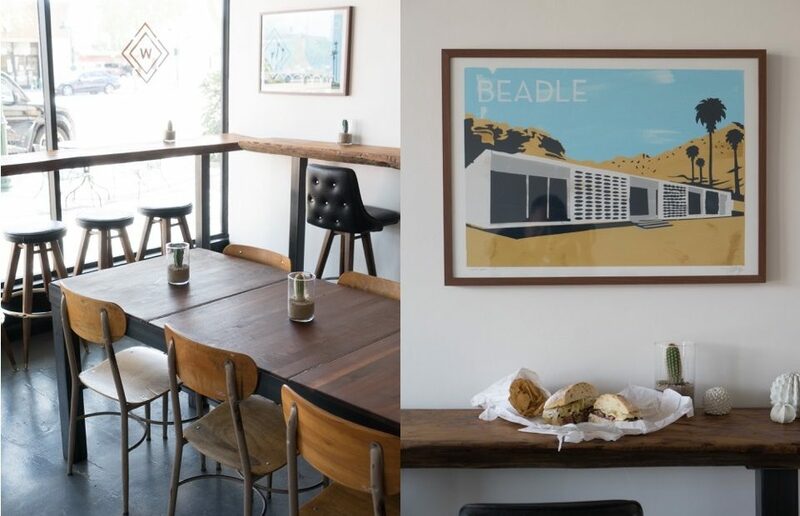 The couple’s restaurant concept draws from experiences gained while on a four-month global trek in 2015, a journey of personal and professional discovery the two took after quitting their management jobs with local restaurant group Upward Projects. “You can see it in our storefront. It’s small and narrow and housed in an older building. We drew inspiration from boutiques, restaurants and stores from our travels,” says Kelsey of the trip in which they canvassed Europe and major cities in the United States. Worth Takeaway’s sandwich lineup, which includes classics like a Reuben and chicken salad, as well as a crispy chicken and grilled cheese (all served on slices of bread made locally by Proof Bread), also is an homage to their time spent on the road plotting their eatery. 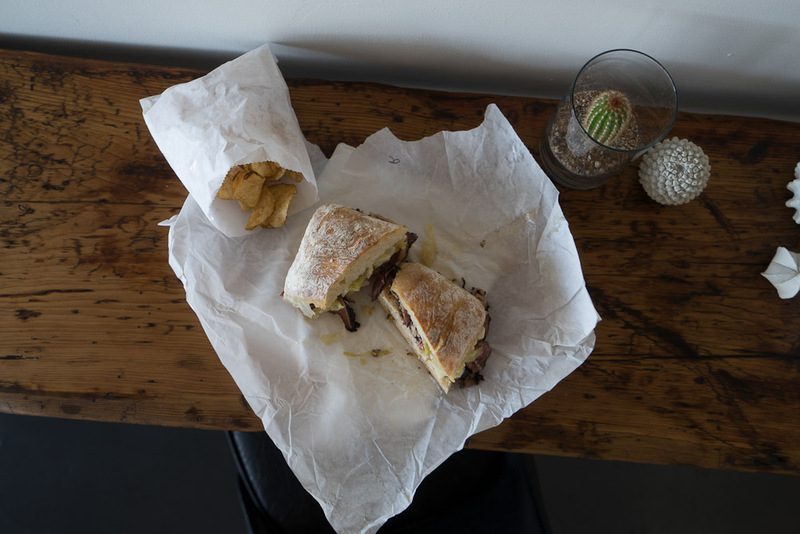 “We wanted to create the type of sandwich places we experienced in Europe and particularly those in the East Coast—a place to grab a good hearty sandwich and keep moving,” she adds. 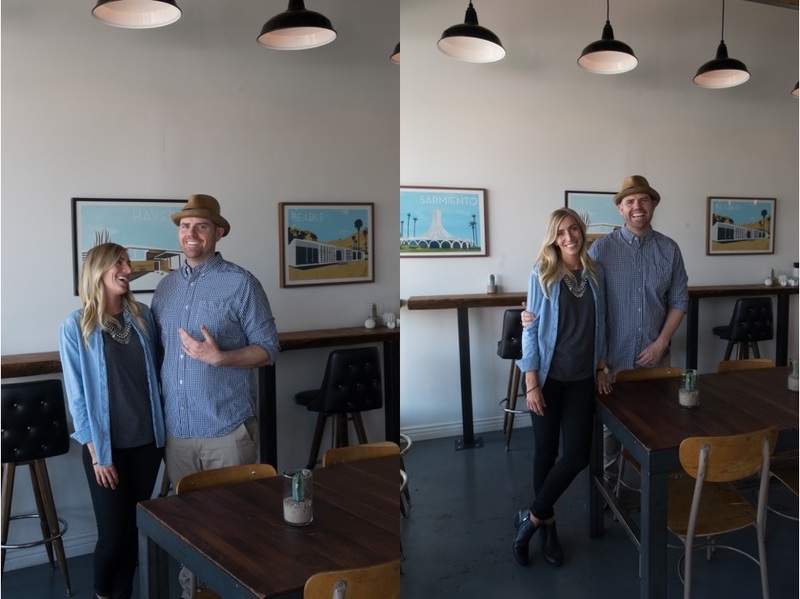 With their combined industry experience, the couple, who both grew up in neighboring Gilbert, could have opened a sandwich shop anywhere. But they choose Mesa, where they have lived for six years. 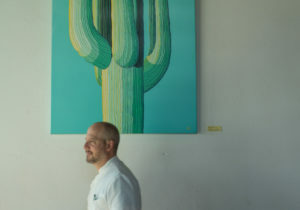 And the two are happy to be the food pied pipers of Main Street, leading an economic movement to stimulate business and attract customers back to downtown Mesa as a dining and entertainment destination, which includes their plans to develop a second concept in the area. 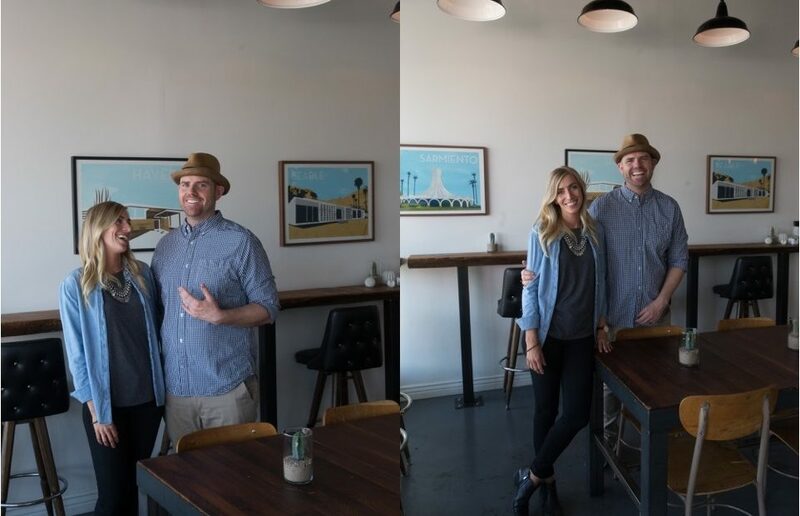 The couple believes supporting and creating partnerships with like-minded souls will encourage others restaurateurs and independent businesses to open in the community. It’s why they use Proof and partner with other Valley purveyors including Danzeisen Dairy, Iconic Cocktail Co., Press Coffee, Hoot and Holler, The Simple Farm, Blue Sky Farms and Hickmans Family Farms. 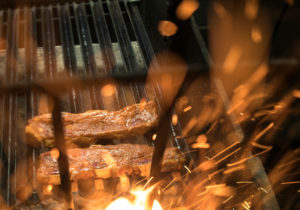 “We personally look for local businesses that can provide better ingredients. It’s a way to help build up other small local companies. When you partner with such enterprises it helps everyone,” explains Kelsey. 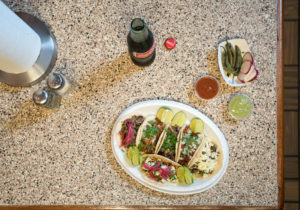 The spirit of neighborly commerce is having a positive effect on the restaurateurs whose establishment is one block east of the Country Club/Main Street Valley Metro light rail stop. Worth Takeaway will be the featured food provider to a brewery operation that is opening four doors from the restaurant. 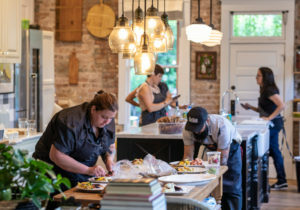 As part of their short-term growth, the Strothers’ also have hired a chef to help them strengthen relationships with local farmers and partners. And they believe expanded hours and creating a patio extension will not only increase traffic to their sandwich shop, it will support an evening food culture in their neighborhood. 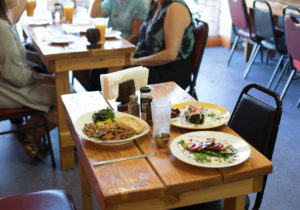 “Downtown Mesa is known for its lunch culture. Most establishments close in the early afternoon. It’s a sleepy environment for dining currently. Our goal is to be a full-service operation. The changes will give us a more established feel,” says Jim Bob. 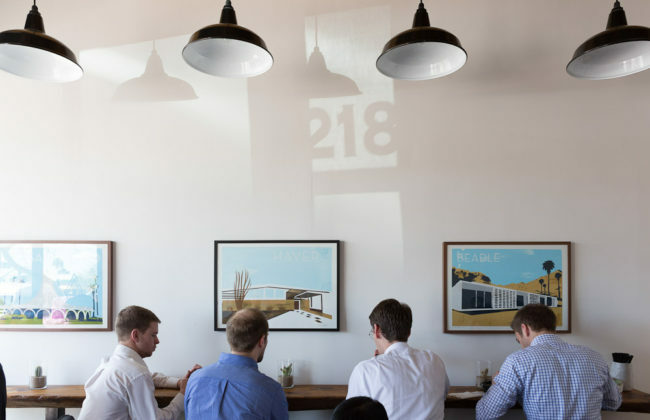 Worth Takeaway’s minimalist, but crafted menu with unique selections like homemade banana pudding and sea salt potato chips have created a steady stream of regulars, as does its inviting clean, mid-century modern décor. “We don’t want to be cookie-cutter. We put our spin on things,” says Kelsey. 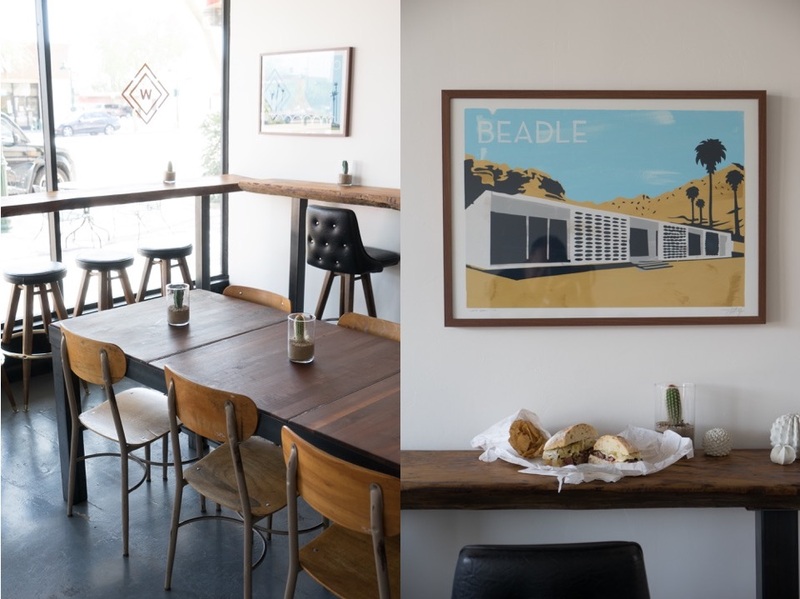 The fact their tiny takeaway sandwich shop is a neighborhood stop where customers want to eat and linger too is just icing on the restaurant cake.